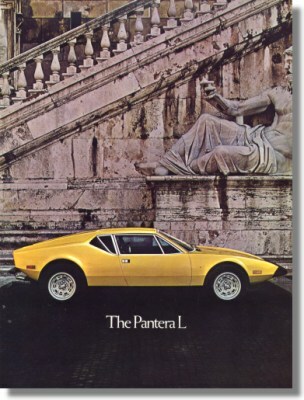 1973 DeTomaso Pantera L Sales Brochure. 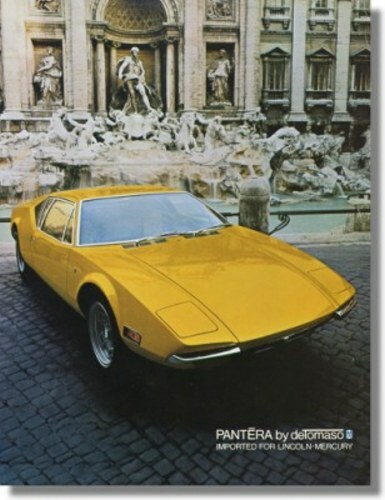 Cover is photograph showing side view of yellow DeTomaso Pantera L by Ghia. Folder opens to 11x17 layout with five photographs showing exterior and features, with discussion. Back cover has photograph of dashboard, with specifications and lists of optional equipment and colors available. Print reference: P73-22-R1 (7-73), first revision of the original, dated July 1973.